If you are considering security cameras or a burglar alarm to install inside or outside your house, or if you are wondering about a home security system, you are in the right place. You will learn all-round information about security cameras VS burglar alarms. Both security cameras and burglar alarms are home security products to help detect intrusion, the unauthorized entry, into a building or an area. Security cameras are extremely powerful cameras designed to capture live footage of events that take place in an area. They can record and send live footage of what is happening around your home to your devices, which enables you to see your home security with live views anywhere and anytime. 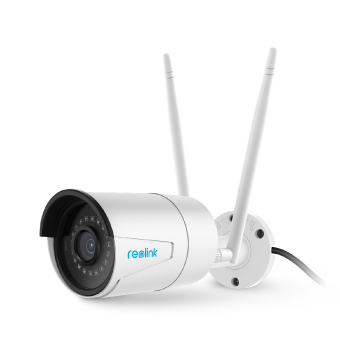 There are two kinds of security cameras in the market — wireless security cameras that transmit videos and audio signals via WiFi, and PoE security cameras which transmit videos and power through one network cable. Both constitute a home security camera system. You can install as many security cameras as you like inside or outside you house. All the cameras can trigger motion alerts when dangers occur, allow remote access vie mobile devices, and do 24/7 recording with a computer or NVR. 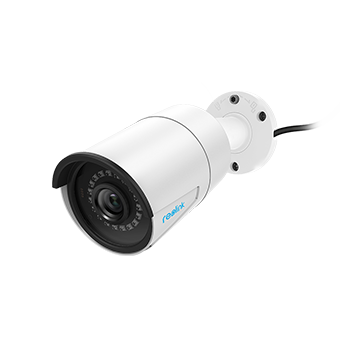 If you prefer a security camera, a 4-mamepixel 1440P IP camera (2560 x 1440) is highly recommended, because it records with supper clear images. The footage recorded by these cameras could be used as evidence later, if the intruder can be identified. If a criminal realizes there are security cameras installed in a property, they will be less likely to take a risk, which is another huge benefit of adding security cameras to your home. 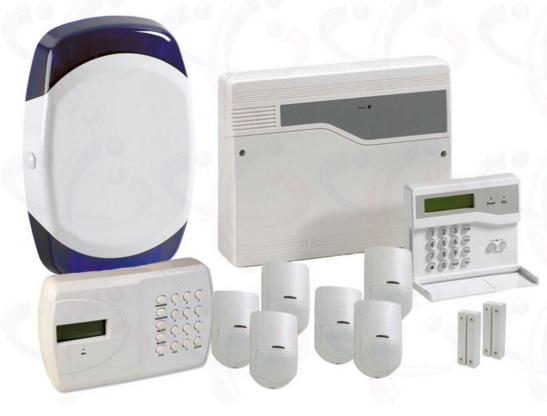 A burglar alarm is a device that emits a loud noise when someone is entering a premise without permission. Most burglar alarm models can detect movement or opening of windows and doors in a home, where most intruders enter a property. Sensors placed on the windows and doors of a home ensure that every possible way of getting into a home is protected. Outdoor alarms are available too. Older technologies were not as effective, but today’s motion sensors and gate alarms are much more advanced. This means you will be notified about any trespassers before they even reach your home. 2,000,000 home burglaries are reported each year in the United States, every 13 seconds a home intrusion is committed, nearly 66 percent of burglaries are home break-ins, 2,500+ cars stolen per day (almost 2 cars a minute), and only 17% of homes have a security system. Installing a home security system like burglar alarms and security cameras is very important to protect your family, property, and house. See top 10 reasons why you need a home security system in details. Thanks to advanced technology, DIY home security camera systems and DIY burglar alarms for homes are available. This is very convenient for us to install a home security system. Using both of these security systems is the ultimate way to ensure that you deter and detect any burglars or unwanted guests. However, many people often have to choose one or the other. So which one is better for you? The score of them is about even. A burglar hates being disrupted while they carry out their work, so a modern alarm is a very good device to detect their activity. Statistics prove that a burglar alarm is in fact a deterrent for burglaries. Intruders for a crime are scared to be caught “in the act”. As a result, more criminals will avoid this risk.And security cameras are also a deterrent for thefts or burglars. Both serve their purposes. A burglar alarm sounds and alerts you when there is a breach (if there are video cameras, that will be perfect), and a camera system records videos in live view and alerts you when danger happen. Security cameras enable you to see clearly what is happening to your house with live views no matter where you are and no matter when it is. That is to say, security cameras make home security visible and burglar alarms make home secure by alarm sounds and those with cameras will provide both. Security is a big business and this has led to a wide range of companies who provide these devices services. You can also buy a DIY one for your home. Find a top CCTV camera brand who offers professional and reliable home security systems. You can also purchase burglar alarms and security cameras on all the main online marketplaces like Amazon, or eBay. Local electrical stores and security related stores sell and install these products online and in their local stores. However, make sure you research your provider well, because they will be setting up a system that may record and detect very sensitive information that could put your possessions at risk. Like any type of purchase, you get what you pay for. The widespread use of these devices means the prices of burglar alarms and security cameras are much lower than they once were. Higher end models will cost more because they usually include more cameras, better detection features, a clearer picture and advanced functionality. That is not available in basic models. These systems start at a couple of hundred dollars, and more advanced burglar alarms and security cameras can cost thousands of dollars. Generally, a burglar alarm system is much more expensive than a security camera system. As you can see, burglar alarms and security cameras have their own benefits when you use them for indoor and outdoor use. Both of these types of devices will keep your home safer and reduce the likelihood of your home becoming the next target for criminals. What about burglar alarm reviews? A wireless burglar alarm or a wired one? The best type of alarm for your home depends on your personal preferences, your budget, the place where you live, what your home is like and what level of protection you need. Reaching out to a professional provider is the first and also the most important step to figure out the most suitable burglar alarm for you. This entry was posted in Compare & Contrast and tagged burglary alarms, prices, reviews, security cameras, smart home.